Apple as well as Samsung both have emerged as the market leaders in the market of smartphones all over the world. In fact, people are often confused as to which one out of these is a better option to buy. In the recent days, Samsung and Apple have got involved in the heated fight over the patent infringement. The technology leaders have been fighting over this ever since there has been an increase in the demand of the smartphones in the market. Even though we have seen how Apple’s iPhone passed everything with its record sales, but Samsung cannot be underestimated as well. It has not just caught the attention of iPhone users, but has also surpasses Apple by 29% share in the smartphone market. According to the Wall Street Journal, Samsung which has been using the Android in its smartphones has managed to hold 29% shipments all over the world, while Apple on the other hand has had only 23% shipments. These are the results of the first quarter of 2012. The battle of the two smartphone gurus is not just confined to the phones, but extends to the operating systems as well. The lading smartphone of Samsung- Galaxy makes use of the Android version as its operating system, while, on the other hand, Apple’s iPhone makes use of the OS of the company itself. However, the growth potential of these applications is so much that the OS can make the difference in context with the application development as well as application sales. As a matter of fact, the operating systems have a major role, due to which the Palm PDAs have become almost extinct due to absence of permeation. Palm OS is said to be the perfectly apt system that makes use of the die-hard base of developers. However, it is said to be dead with the personal desktop-assistant model. This has happened because of absence of adoption in the markets. What is competing at present is the software i.e., Apple OS and Google’s Android. 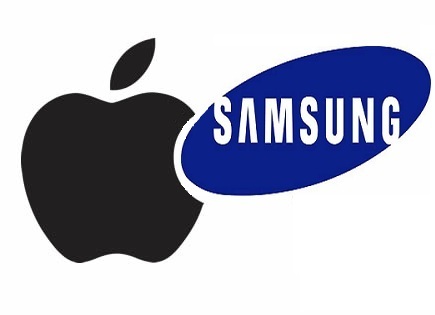 In the essence, it is known that Apple would not like to lose on the market share, especially to Samsung. Apple cannot afford to do that especially when it is under the influence that it has only created the smartphone, which is also patented. Apple claims that Samsung has completely “aped” its iPhone in its foremost smartphone models. According to the Wall Street Journal, Apple has been adamant over the fact that it has designed its smartphone, which is being “ripped off” by almost all the Android manufacturers. What is the issue of debate? The functional design in comparison to the patentable innovation is something that is being the issue as of now. Fair trade is being demanded which is why the Bay Area judge has raised order over sales of the Galaxy 10.1 tabs till the time this case is sorted out. Now, the main task lies of the attorneys of Apple who need to convince the jury that its claim of patent infringement are true.